Raining, no problem! We are lucky to have a great climbing location on the beach that is sheltered, making climbing a great rainy day activity. 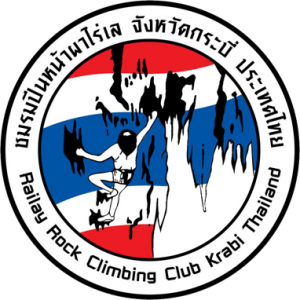 Pranang beach is completely sheltered from the rain, due to the overhanging rock, and there are some great routes for the beginner to advanced climber. Not only is this a great place for climbing with it’s spectacular views, but the stunning white sand beach and amazing scenery makes it a great place to spend the day, and in the high season you can even buy a cooked lunch and drinks off the longtail boats.